*** Disclaimer #1: this is a birth story! If words like "dilate" and "uterus" freak you out, I highly suggest you skip this post. ***Disclaimer #2: I am not a medical professional. My opinions are exactly that - opinions - and should not be taken as medical advice (duh). ***Disclaimer #3: My son's real name is not Piglet (duh, again). I had a wonderful pregnancy. I was never sick, I felt great, and it was overall an enjoyable experience. If you are interested in hearing more about it, you can read my short reflections on my first trimester, second trimester and third trimester. I was healthy and the baby was healthy so we had no complications going in. Also, I think it's important to share a little bit about my birth expectations/hopes. I think it's really strange when people ask you "are you going natural or having an epidural?" Here's the deal, it's really no one's business and yet some how we have created a birth culture around "my way is better and I am judging you if you don't do it the same way as me." Silly. All that to say, I DO think it is really important to be informed and not go into the birth process blindly. Obviously you have to be flexible because the baby runs the show (something my doctor constantly reminded me of!). I read a lot of literature, talked to a lot of friends, watched documentaries and felt really good about it. None of it scared it me, it just made me feel empowered. So, my expectations/hopes: I had an OB in a hospital, so that obviously limited my options somewhat. As far as pain management goes, I really wanted to try to not have an epidural, but I wasn't going to be really disappoint if I ended up having one. My goal was to have as natural as a birth as possible. I REALLY did not want to be induced. 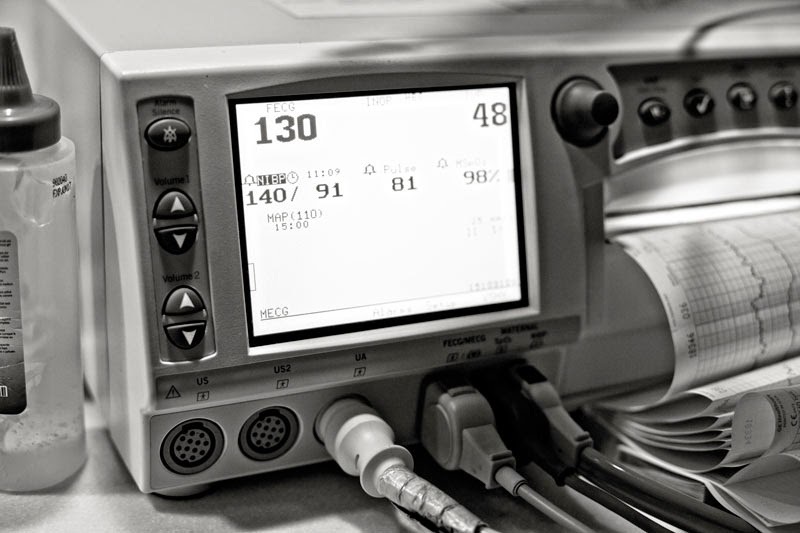 Emergency c-section rates are really high with inductions, plus from what I had heard, the drug they give you to induce labor (pitocin) causes really intense, painful contractions that are really difficult to manage without an epidural. So. My due date was November 20th. My mom was two weeks late with all four of her kids, so I fully expected to go a little late. At 36 weeks I was dilated to a 1, so I kind of thought "maybe I'll be early!" but then, when my due date came and went, I wasn't too concerned. My doctor tried to get me to schedule an induction before thanksgiving but I declined and we scheduled my induction date at 13 days past due (I was allowed to go 14, but my doctor was on-call for day 13 so that's when we made it). Thanksgiving came and went, and at 10 days overdue I was starting to get frustrated. I wasn't really even nervous anymore, it was just like "let's get this over with!" I tried every single thing I possibly could to bring on labor (walking, teas, supplements, etc) but nothing worked. I never even felt a contraction. BUT, the baby was doing great - lots of movement - I think he was just really really cozy. On the eve of my induction date, I was still really bummed that I hadn't gone into labor naturally, but I was also relieved that the birth would finally happen. I prayed really hard that I would go into labor that night, but I had also been meditating on Psalm 27:14 "Wait for the Lord; be strong and let your heart take courage; wait for the Lord" for the few weeks leading up to my due date and even though it was hard, I really trusted the Lord's timing. 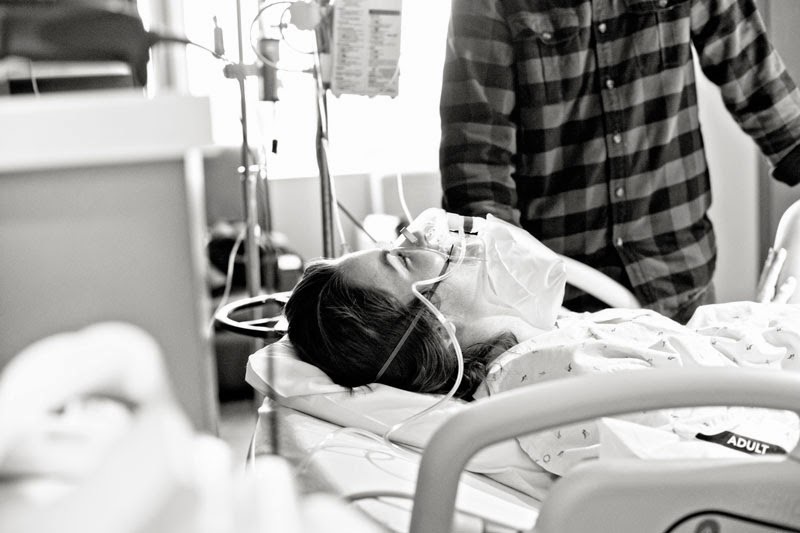 On the morning of the December 3rd, Eric and I headed to the hospital. We got checked in, filled out a lot of forms and got everything hooked up. 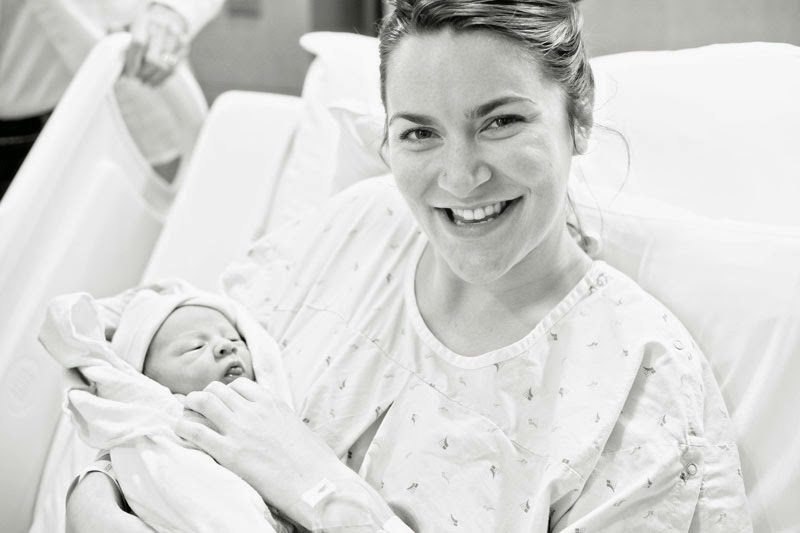 My nurse, Katy, asked me my birth plan and I replied bitterly "well, I didn't want to get induced and I wanted to have a natural labor." She looked a little bit taken aback (sorry, Katy!) but I was kind of glad I told her the truth. They started the pitocin drip around 10am. At that point, I would tell Eric, "oooh I think I just felt a contraction!" We sat in the hospital room and watched HGTV (thank you hospitals for having cable). After the first hour, things started to get a little more intense so we turned off the TV and I started using some pain management techniques. I bounced on an exercise ball, Eric rubbed my back, I walked, etc. It hurt pretty bad - I had to concentrate through each contraction - but I still felt like I was doing okay. 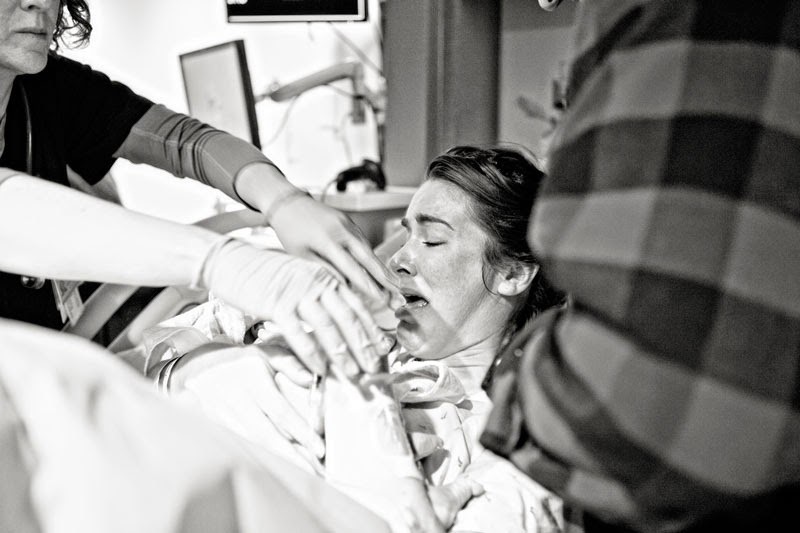 I wanted desperately to hold off on getting an epidural as long as possible (the epidural can slow down labor). Then, the next hour or so. Oh man, what can I even say. I can't even communicate how horrible the pain was. If you've ever had pitocin without an epidural, than you know. I essentially had no breaks between contractions so I couldn't regroup or refocus. It felt like my brain was on fire. I didn't know who was in the room, what was happening... it was rough. I held out as long as I could until I finally whispered to Eric "epidural." He later told me he was completely relieved. I'm convinced they were waiting for me to ask for it, because the anesthesiologist came in the room within five minutes. He introduced himself but I literally have no idea what he even looked like. Getting the epidural might have hurt, but I have no idea because the pain of the contractions were all I could feel. So, I got the epidural. Unfortunately, it took about 15/20min to kick in and I had to lay on my back to wait. That was honestly the most painful part of the whole experience. Moving around, doing different breathing techniques, etc helped with the pain a little, but just lying on my back was pure torture. I just concentrated on the fact that the pain would subside soon. I got checked again at this point and they told me I was only at a 4. I was so disappointment because I had really hoped that all of the pain had been worth more than 2cm. 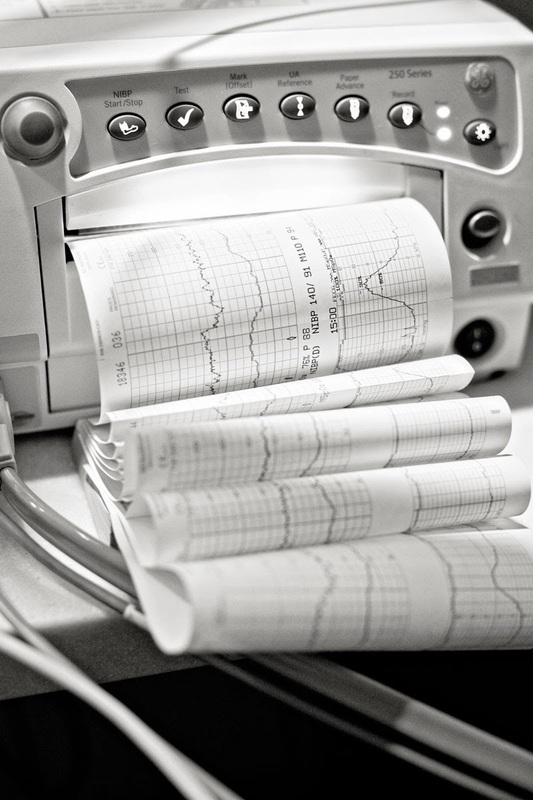 While I was laying on my back waiting for the epidural to kick in, my OB came in and expressed concern about the baby's heart rate. She told us that if it didn't normalize soon they would take me back for an emergency c-section. I couldn't talk at this point (I was still in so much pain) so I just started praying and begging the Lord to calm the baby's heart rate. This was exactly the situation that I did not want. They turned the pitocin down (the contractions were coming too fast and strong for the baby) and I focused on breathing deeply to get more oxygen to the baby (I was wearing an oxygen mask at this point). It took about ten minutes, but the baby's heart rate finally normalized and my OB said things were okay. I was so, so relieved. The also checked me again at this point and I was at a 6, which was so encouraging to hear. So. All of that was pretty intense. After that, things were a lot calmer. The contractions slowly became a lot less intense. I was able to communicate with Eric again (it felt like I hadn't even seen him in an hour - it was so nice to be able to hold his hand and feel comforted by him). The contractions still hurt - I had to stop talking and breathe through them, but it was nothing like what I had experienced so I was fine with it. I could actually still move my legs a little bit (I think I essentially had a low dose epidural - the anesthesiologist mentioned that since I am tall, the standard dose wouldn't be as strong), which was nice. My nurse (whom I later found out was also a doula - she was incredible!) helped me lie in some different positions with a peanut ball that supposedly help speed things up. It was nice to actually feel like I was doing something to help that labor along, but I didn't actually expect it to work. About an hour after having the epidural, my doctor came in, checked me and announced that it was time to push. Eric and I started freaking out! We absolutely did not expect things to go so fast (it had been less than 5 hours since we got to the hospital). I pushed with my nurse for about 40 minutes. I won't go into a lot of detail about that, but just say that it was a lot of hard work. I was definitely exhausted afterward! After the 40ish minutes, my nurse said it was time to bring the doctor in and all of a sudden there was a flurry of activity and a bunch of people came in. When I saw the baby's nurse come in with a bed, a hat, etc I started to get really excited! I was about to meet my son! I pushed 3 or 4 times (it hurt... I could feel a lot... I can't imagine what it would have felt like without the epidural) and all of a sudden, he was out! I honestly can't describe what I felt at that point... Just joy. He as born at 4:05pm, so the whole thing only lasted 6 hours. They took him to his little bed to check him out and Eric went over and held his hand. It was just lovely. Lots of tears (from me and from Piglet). I remember thinking "of course it was you all along." All photos taken by the wonderfully kind, thoughtful and talented Photos by Esther. Love you, friend. So here I am sitting in my office, crying as I read this. I should have waited until I was safely at home! And I almost didn't even want to read it, because honestly, I am so freaked out about the part where I actually have to birth this kid. But you are right, I want to read more and learn more, so I know what to expect and what the options (and pros/cons of options) are. And absolutely, no matter what I think I want to happen, it's going to happen how it happens. Thank you for sharing! What a lovely story. I am so happy for you and your beautiful family. This is beautiful. Thank you so sharing! I love that Psalm. It's one of my all time favorites. You are beautiful my friend! What a wonderful story. The pictures are just beautiful! Congrats! Thanks for sharing! 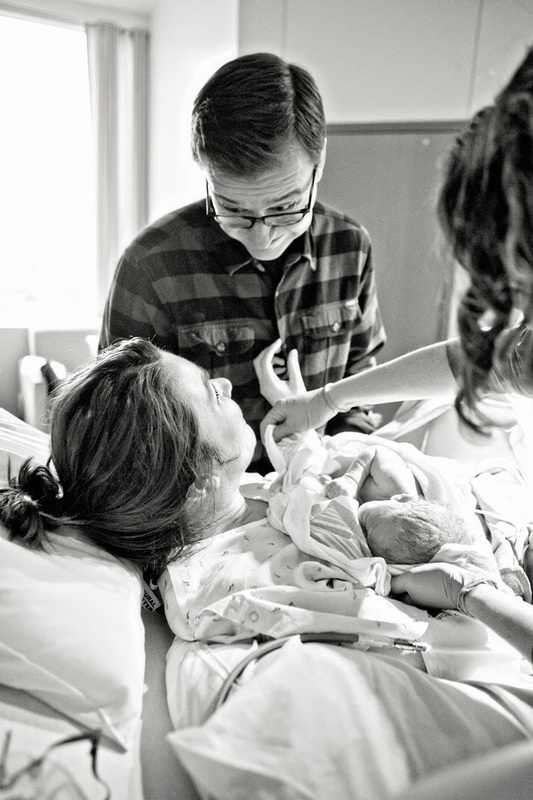 I always love to read birth stories :) The photos are beautiful! 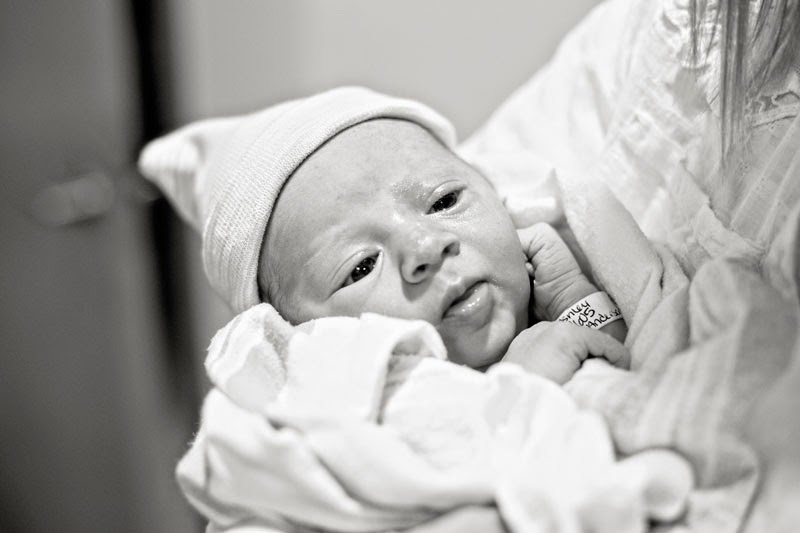 You know you are a mom when you cry while reading anyone's birth story! ;) I love the emotions these photos captured. Congratulations again! I'm so glad you shared the story! I loved reading it. Your son is absolutely precious and perfect in every way!! My sister had her baby in November, and I was in the room during everything. It was difficult to watch her be in pain, but she sure was relieved when she opted in for the epidural. :) I'm so glad it all worked out for you and baby boy was safe and sound! Um, I'm slightly terrified! That sounds soooo painful. You go! For real, that is awesome. Aww how lovely. I had C-sections with my babies and honestly wanted it that way, but I was sick with pre-clampsia with my first and had hypertension issues with the twins and one of my twins was breech so natural labor was not an option with the two issues conciding. Reading this scared the daylight out of me but I am glad you had your son and that God answered your prayers to have him naturally. Aww what a wonderful story of his entry to the world! :) You did really well! I was smiling and nodding and sympathising along with you at so many points! Especially when you had to deal with the pain of contractions and just lay there (when you were waiting for the epidural to kick in). I went to hospital when I couldn't take the pain any more, and they made me lay on the bed to get a base heartrate for baby, oooh that was hard sitting there and not moving through a contraction! It was much easier later when they were able to do it as I bounced on the exercise ball. Why they didn't do that in the beginning I don't know! I'm so pleased you could get an epidural so you could take some of the pressure off for the rest of the birth - maybe that's what helped speed it up, being able to manage the pain better? I had flung myself down on the bed and declared I'd had enough and needed that epidural...when they told me too late, time to push. I was exhausted! I also did the freaking out about it being time to push thing too, I was adamant I wasn't ready for it, seemed like it came too quickly. But most of all, I'm so happy for you and your gorgeous family! How awesome you have such beautiful photos and a wonderful story to tell your gorgeous little piglet! :) Every birth is special, but having photos like these to treasure is really a blessing. Huge congratulations once again to you, Eric and Piglet. Love the nick-name you gave him. I love reading birth stories. As much as they sound alike at times, they are all different, unique, beautiful, heart-wrenching experiences. When a woman gives birth it is like the world is at peace and all you hear is that strong crying of a beautiful, healthy baby you have been waiting for an entire 9 months or more. Happy Valentine's Day to you three, beautiful! Thank you for sharing! It is nice to hear that while you had a plan, you were open to other options and taking things as they came, as long as it was best for you and the baby. Obviously, the end result is what you are after, the birth experience is secondary. I'm so glad you had a healthy and safe delivery! I love this story!! It is a true testimony that no matter what plans you have in place, God knows what's best! (definitely a hard thing to remember) Your son is so so so cute!!! This is such an incredible story- thanks for sharing! I was literally tearing up as I read this at the office...you should put a disclaimer that it may induce intense emotion and in some cases, crying lol. SO incredibly happy for you and your family- I love reading these and gathering as much insight as I can about birth experiences-- sounds like the best approach to take is to "go with the flow!" Congrats!!! I love your birth story. I am glad everything worked out for you even if it wasn't your ideal. 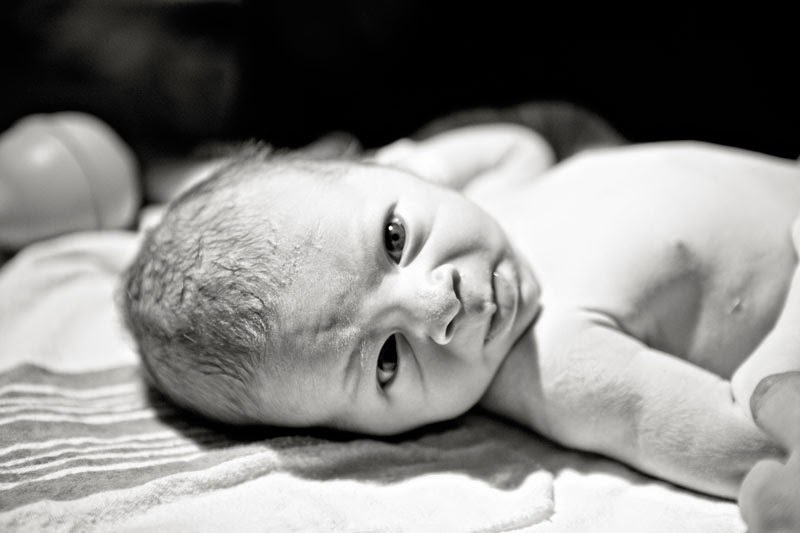 I also really like the birth photos. Such an awesome memory. Such a nice story... thanks for sharing. I'm glad everything went well for you and little piglet. I was also induced with my daughter around 8am and she was born at 4:09 in the afternoon. I did push for two hours and that was the most exhausting part of the birth, but also so, so rewarding. Beautiful photos of your family! 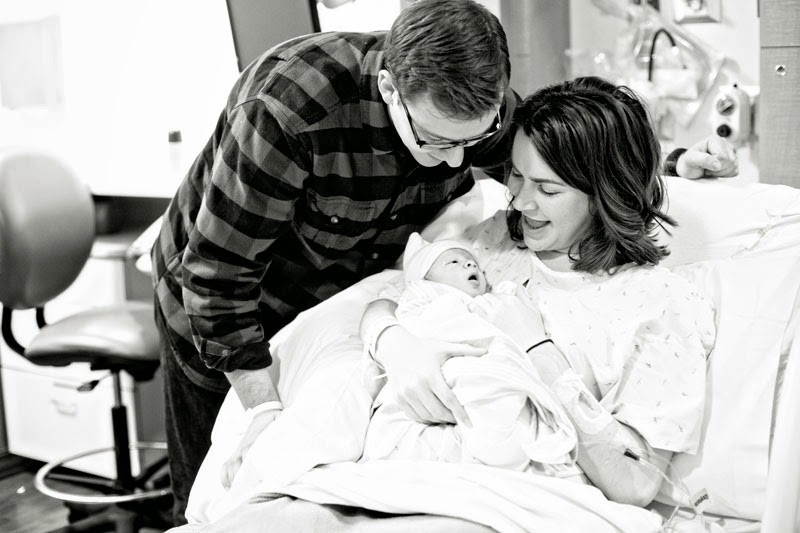 Thank you for sharing your birth story with us! I am nowhere near ready for kids. Pregnancy and giving birth seem so terrifying for me! Reading stories like this make it seem like no matter what, it will all be worth it. Births never seem to go exactly as planned I've found out! I'm so relieved to hear that you didn't have to have a c-section. 6 hours of labor is nothing! You were very lucky there. Your little piglet is just adorable. Congratulations again! Tears! Oh girl, my eyes are filled with tears. So emotional. I'm so glad that Piglet arrived safely and that you made it through healthily! Your story is SO like so many of my friends except that you were definitely lucky to not end up having a C-section. So glad his heart rate slowed enough to be in the safe zone again. And all these photos are just wonderful. So emotion filled and beautiful! Congratulations, lady!